1. Congratulations on Season 4 of your reality show! One thing I noticed about several of the episodes this season is that you spent a lot of time testifying and Erica complained about that a lot. Looking back at those episodes, do you feel like you testified too much? Absolutely not! I don’t. I cannot apologize for who I am or for how I am. If ever I am offensive or if ever I am mistaken, I’m sorry for that. But I don’t apologize for testifying because there are a couple of things I realized. In testifying, first of all, it’s therapeutic for me to remember where I was and to recognize where I am. It literally is. So it’s two part. I know that it was encouraging to people who watched it. Those people sat and watched my whole entire life fall apart one season ago and then they’re watching me stand and continue to proclaim that God is good and that I’m leaving the past and yesterday and I’m taking the shackles off and I’m praising God and I’m going after my blessing and it’s still the God in me. When these people are seeing me proclaim it and they’ve seen me broken and sad and angry last season, they are trying to figure out how did you get from there to here and why does it really seem honest? So me testifying about how bad it was and how dark it got and how hopeless I was and now how hopeful I am because God rebuilt and restored it all. It lies that faith don’t work when it comes to real life situations because nobody really wants to talk about real life situations unless it’s behind closed doors so when these people see me talk candidly and honestly and they can see that I’m exactly what I’m saying, it’s not that they have to trust that it’s true. They saw me last season and they are watching me this season so when they hear how I got from there to here it’s encouraging to those too who are perhaps dealing with the challenges of infidelity or some other kind of betrayal or other kind of loss or brokenness so I know that it’s helpful from what people tell me and I’m constantly inundated with. It’s helpful for people to hear that kind of honesty from a person of faith so openly because according to many, it’s what they never ever get. People always tell you what God can do for others but they don’t really tell you about them because that would be too embarrassing and I don’t have time to be embarrassed when God changed my horrible situation and made it wonderful. I’m too busy being grateful. 2.Your wedding ceremony was really beautiful, but I had a hard time understanding why Mitchell Solarek was invited to your wedding. What made you invite him to your wedding, and do you regret that decision? Um, a couple of things. Before all the TV show was created, Mitch was invited to my wedding because I did not hold any grudges or any hard feelings against him or anybody who may have offended me or whom I may have had professional differences with. And I also thought that many people who thought I had reason to still hold some kind of grudges or offenses, perhaps them experiencing not just must my forgiveness of my husband but my forgiveness of them could have been a great reflection of God’s love, could have been a great reflection of God’s grace and mercy that just doesn’t apply to the person that I’m totally emotionally connected to but it applies to everybody. I really wanted to just display God’s forgiveness. I really wanted to just show that I don’t care what our professional differences were. Even though we had professional conflict, I see past that and see that you’re a human being that is caring and whatever are professional differences are, they don’t matter. We’re past that. And I forgive everybody and every thing including you so let’s come and experience a day of love, a day of forgiveness, a day away from professional stuff and enjoy just personal life with everybody being forgiven with everybody moving forward and everybody literally having an opportunity to see that you can really let stuff go, move on and become better. Honestly, that was my entire intention. It was not TV show motivated. I did not invite Mitch to my wedding for TV. Mitch was invited to my wedding, and my television show found out about it so they came and captured what they captured. It wasn’t a TV move. It literally was personal from my heart. I wanted certain people to see that there are no hard feelings. And just like how God repaired this, He can repair this even if we never ever work together again. But I had no idea that that kind of foolishness took place at my wedding. But looking back in retrospect, had I known the offensive things that happened there would have happened, I would have never invited him for that. That day wasn’t a day of making TV. It wasn’t a day of being a clown. It wasn’t a day of being disrespectful or offensive. It was a day of complete and total forgiveness and love and acceptance of what was and embracing of what is and moving forward with nothing but hope and optimism and complete faith that everything was going to be better in the coming days, months and years. It was not about what the TV show displayed. It was very unfortunate for me to find that out because I had no clue that that was happening on my wedding day or I would have shut it down immediately and went back to celebrating. 3. I’m a newlywed, well almost newlywed since I got married 2 years ago in August. Do you have any advice for newlyweds considering what you have been through? Of course, I’ve got a boatload of advice for newlyweds. First of all, marriage is not something… Unity and love and commitment and all of these things they don’t just happen on it’s own. You’ve got to be an active participant in it. A lot of times in relationships, people just expect things to just happen. My husband thought that all of his issues were just going to be fixed by marrying a beautiful woman that he thought really had it going on. And he thought that whatever my goodness was that I was going to bring to him was going to help change some of his issues. And I thought he’s just gonna love me, he’s just going to honor me, he’s just going to always understand me and whenever I’m crazy he’s going to love all of that away and it’s just going to always be good. He’s going to be my knight in shining armor and all of that stuff. A lot of people will tell you, Oh that’s not what I thought, that’s not what I meant, but they do. We all come in marriage with expectations. Otherwise we wouldn’t get married. But we’ve got to understand marriage is not a fairytale. It’s real life. And they absolutely do work if you work them. Whenever the couple is the center of the relationship, then you can depend on yourself for the best that it can get. But when God is the center of the relationship, you can depend on God’s best. And His best far exceeds everything. Teddy and I were the center of our relationship. We and our stuff and what we thought we brought to the relationship and how valuable we thought that was, but once we took the value off of us and we placed the value on the God in us and God was the center of our relationship, that’s when we found love again. And I can honestly say our relationship is better than it ever was, better than I could have ever imagined, better than what I prayed for. It’s two years after I found out what y’all seen on TV, and it’s blowing me away the relationship that we have. We are the best of friends and lovers. And that was not our story at first, but we had to go through and we had to commit to the contract. A lot of people don’t realize you signed up and put your name on the dotted line for better and worse, for richer and poorer, in sickness and health and the truth is in that day and in that moment, we only think about those positives. We don’t think that those negative possibilities will ever surface, and I believe they are written into the vows because you will have to deal with that. And once you get to that, you are better as a result. You don’t know what you really possess, unless you’re tried, unless you’re challenged. 4. One of the most important statements that Mitch made was in Episode 8 was when he said to you, “You are one of the biggest stars I’ll ever meet in my life even though you don’t care about being a star.” Is that a true statement? Please explain your answer. Is he involved in your career now? I’m not fascinated with stardom. I enjoy regular way more than I enjoy the stardom. I like to be valuable to people when I don’t have everything in the world to offer them. I’m very happy to have fans. I’m very elated, and I’m very appreciative of that, but it’s valuable to me when people like me and love me and think highly of me with and without accomplishments and that’s probably why I have still have the same group of friends that were my friends when I was five years old, ten years old and 18 years old, the same people from my church, my original church that I grew up with. I’m still close to all of them even though I’ve been away from the church. I like people who liked me before, when I quote unquote wasn’t nothin’. And without accolades and all of that. They just think I’m something because I’m Thomi’s and Eddie’s daughter. I derive my value from who I was before I got here. Because if accomplishments are the only things that make me who I am, because if you strip me of my accomplishments, what am I? I’d like to think that my character, my integrity, the way I love, how kind I am to people, I’d like to think that those are the things that define me so the people so that know me in that respect and value me in that respect, that matters more to me than the people who know me as a star. So stardom doesn’t fascinate me. If I was just a soccer mom or I was over the PTA, I would go just as hard doing what I do. I’m just a very passionate person and whatever I do, I do it hard. I goes hard. Stardom does not define me at all. I could have it or not. A GRAMMY is great, but I’m fine without it. Selling millions of records. It’s awesome. I would still think that I could sing and that God gave me a gift if I’m singing at a convalescent hospital to old women. And I’m so grateful for that because the ups and downs of the industry and people’s opinions and all of that, if that stuff made me, I’d be broken already. He wasn’t involved with my career during the season, and he’s not involved in my career now. And the show was really just exploring the idea of him possibly being a part of my career. 5. 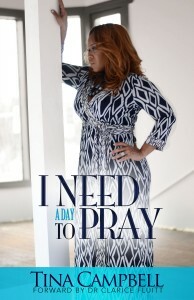 Congratulations on your new book “I Need A Day To Pray” which is published by your company with your husband? What does Gee Tee Creative stand for?Are these journal entries? 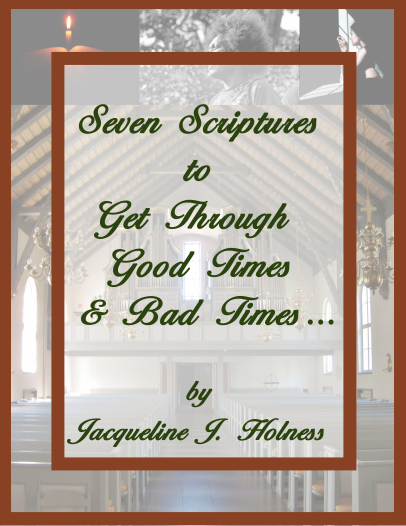 Who do you feel will benefit from this book? It’s just a play on our initials. And it’s a company of creative content from the book to the touring to the album and all of the creativity. I don’t know if I can call it journal entries. I just called it a journal because whenever you are writing something and it’s not for a particular reason, I call it journaling. It wasn’t that I was quote unquote writing it to God. I was just writing out a prayer. Well, maybe I was writing to God. I was just writing out a prayer. I wanted to do better. I wanted to be better. 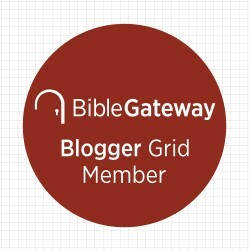 I wanted to confess what God wanted for my life and not just what I wanted. But it didn’t have a date or a situation or a scenario. Whatever I was faced with or whatever I was dealing with in my life, most of the time I was handling it wrong. But I found the way I should have thought or what I should have said, the way I should have handled it, the perspective I should have had, I’d go find it in the Bible and I would craft a prayer around that and basically that’s how this book came about from all aspects of my existence. And who will benefit from this book? Every single human being that reads it. I was writing the vision and making it plain. I was literally writing out the vision for my life as a woman, as a mother, as a creative person, as a minister, as an entrepreneur, all of these aspects of my life that I could think of, that I could consider, I found in the word of God how it was supposed to be, what I supposed to be, what perspective I was supposed to have, how I was designed to be and I wanted to declare and decree and pray that over my life. That’s when I realized my life was not broken up by quote unquote infidelity or the sudden death of my father or professional devastation and change and challenges when I realized that the outcome of my life was not necessarily a result of all of that, but it was the result of my perspective on who I was and who God was and who His people were. And I realized the issue was with me and not everybody else. So I took my eyes off of the world and I put it on me. And I put it on my Creator. And I started trying to figure out in His manual, how am I supposed to function. And I personalized it based on His word. So every single person that reads it can benefit from it because it’s the Bible backing every prayer that I prayed. If I could not find a Biblical foundation or backing for it, I changed it because I was not praying according to God’s word. And whenever you pray God’s language it’s going to become real in your life because God says that His word will not return to Him void. And I prayed these prayers every single day for well over a year and now I’m living exactly what I prayed. So I am absolutely, positively expecting that exact same thing to happen for every person that picks up this book. The purpose is that people will read this book and understand the relevance of the Bible, the practical application of the Bible, how it’s not just for me and church and on spiritual days, it’s for every single aspect of your existence. It is the Creator’s manual for the created. 6. So as I was watching you discuss your book on YouTube, you mentioned a Bible verse that I have never heard of before: “The Lord shall cause your enemies who rise up against you to be defeated before your face; they shall come out against you one way and flee before you seven ways.” Deuteronomy 28:7. That is going to be one of my new favorite Bible verses! What is your favorite Bible verse and why? Oh girl, I couldn’t even give you that! I love the Word! It’s what I do all day and all night. What brainwashed me. What transformed me. Adjusted and made better my entire life. My relationship is better. My songwriting is better. I’m a better mother. Natural stuff and spiritual stuff. Everything about my life is better because of the Word. I don’t even know what to give you. It’s funny because I have a Bible sitting up open in front of me right now. Let me take you to Psalm. I think it’s Psalm 139 when it tells us about how God knows us, every aspect of our entire existence from being in our mother’s womb. My sister always references Proverbs 3:5 and 6 and that’s a pretty amazing one. “Trust in the Lord with all thine heart; and lean not unto thine own understanding. In all thy ways acknowledge him, and he shall direct thy paths.” I had to have some experience with it. But then it goes on to say in verse 7 and 8, “Be not wise in thine own eyes: fear the Lord, and depart from evil. It shall be health to thy navel, and marrow to thy bones.” I mean that’s a really good one because it tells us that when we lean on our own understanding we might end up sick and kind of tore up. But when we lean to God’s understanding, we will absolutely be well. Another one is Proverbs 4:20, 21 and 22. “My son, attend to my words; incline thine ear unto my sayings. Let them not depart from thine eyes; keep them in the midst of thine heart. For they are life unto those that find them, and health to all their flesh.” Again, amazing truths. I could just scan through my Bible and give you 50 scriptures because I really do love the word of God, the whole book. Are you available for book conferences and book club meetings? I’m not available for every thing, but I am available for some things. I’ll avail myself where I feel led to go. 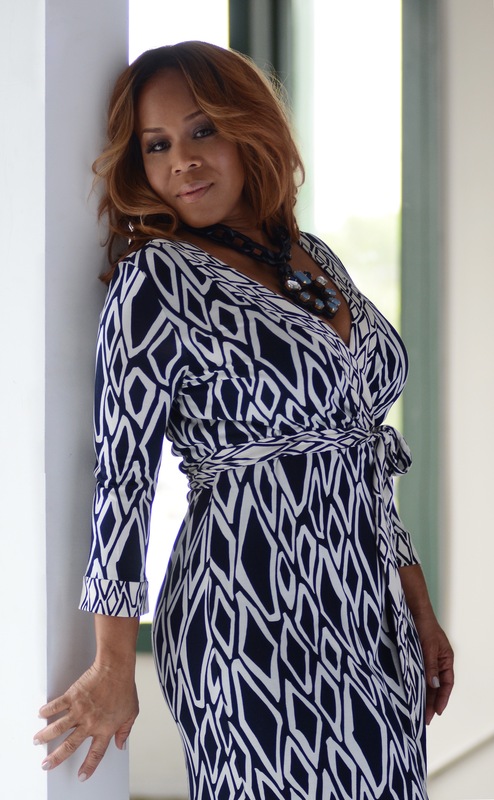 I’m grateful to have an event called an “An Evening With Tina Campbell.” It wasn’t my intention to pursue being an author so I could be a part of people’s book clubs or travel around and tell people I’m an author or fit into any particular space. Not my agenda. I like to do what I’m passionate about. 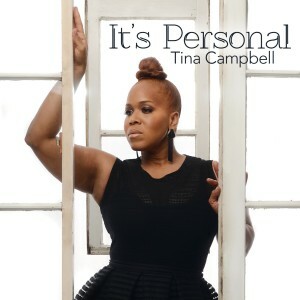 I like to do what I feel I can do from my heart and the evening with Tina Campbell that I’m doing May 30, it’s a kick off to my tour in the fall. But the event literally infuses excerpts from my book, five to six of my new songs and the story of how my test became my testimony. How the most devastating situation that I had ever experienced in life became the most beautiful story of reconciliation and rebuilding and refreshing and becoming better in every imaginable way. I infuse all of that in “An Evening With Tina Campbell,” and I’m very candid even more candid than in the TV show. 7. 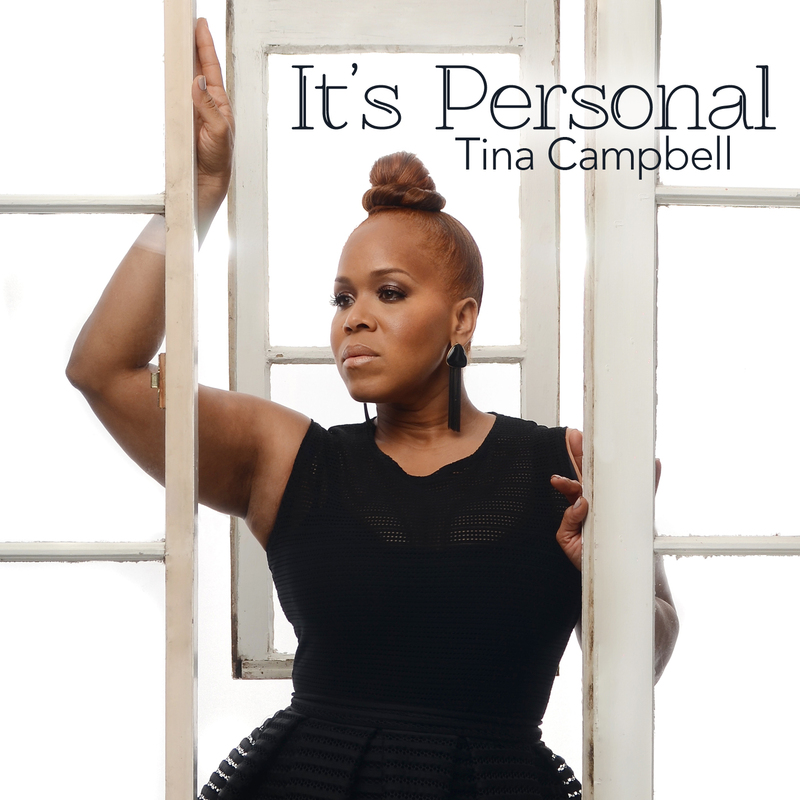 I know you are having some issues with the release of your new solo album “It’s Personal.” Any word on when the album will be available, and what is happening right now? What I posted on my Mary Mary Facebook page if you’re following. The truth is I am an independent label now, but I’m accustomed to being an artist. I’m not accustomed to being an executive so now that I’ve taken on that responsibility, there are a lot of things I’m learning. There are a lot of twists and turns and surprises in this business and when you don’t know to prepare for them and to make time and space for them, you find that out while everybody is watching and while you are missing deadlines so ultimately that is what it is. I’ve done everything that I can actually do. My music is taking the time to go through the channels to become available, and I’m hoping that will happen any day now. But I really do believe that it will be worth the wait.